As well as expert hands-on medical care, helping families make the most of every moment together when a loved one is approaching their last days is all part of the compassion for which St Luke’s is renowned. So, it was only natural we were there for a young Plymouth family recently, when our team was caring for much-loved Matt Geoffrey as he faced the unthinkable – that time together with his wife Sarah and their children, Eloise and Dylan, was running short. Just 42 when diagnosed with cancer in 2016, trained lawyer Matt was working as a contracts manager, suited and booted on the surface but a fun-loving ‘tattooed rock monster’ at heart. Sadly, while his prognosis was initially good, by early 2017 the family was facing the heart-breaking reality that the treatment he’d received had not halted the spread of the disease. In the face of such devastating news, Matt somehow maintained his hallmark positivity though, and he and Sarah were united in their decision to be as open with Eloise and Dylan as it was possible to be given their respective ages of ten and three, and – as much as they could – to maintain normal life as a close-knit family. 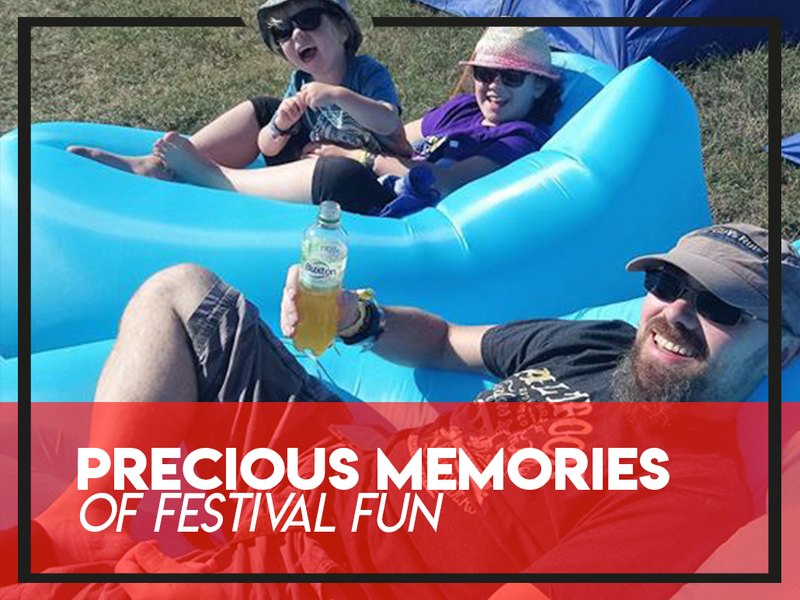 Among the festivals they attended Boardmasters in Cornwall was an annual highlight, so last summer – despite Matt’s declining health – he and Sarah felt it important that their family should not miss out. And, with the help of specialist Dr Doug Hooper from St Luke’s, they were indeed able to pack their bags for the event. These weren’t just any bags though! Alongside the suntan lotion and picnic blanket was the host of medication Matt required. But not only did Dr Doug provide the prescription for all that was needed for him to be as pain-free as possible, the kind-hearted clinician wrote a letter to accompany it, knowing the festival organiser’s policy of carrying out bag searches before admitting people to the site. Sarah also credits our charity with helping Matt realise his wish of being looked after at home, with her and the children carrying on as normally as possible around him, as he approached the end of his life. From supplying equipment to help him remain as independent as possible to encouraging the family to approach things in the way that ‘felt right’ for them, our team was alongside throughout those final weeks, including being there to support Eloise and Dylan as they faced the loss of their beloved dad. “Their support also meant our kids were able to be kids, which was amazing for us, and Lisa built up such a good rapport with them that I felt complete trust in her. Her visits before Matt passed away and since have lifted some of the pressure and that means so much. “St Luke’s have been there all the way through, making it possible for us to still be a family, and without them Matt could not have lived to the end in the way he wanted to.